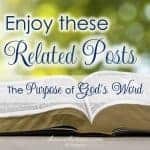 Today we wrap up this series on the Purposes of God’s Word. I think my favorite facet is the way God’s Word encourages our hearts. Probably because it’s this aspect of the Bible that I find myself needing so much. I don’t like to admit it, but I’m easily discouraged. 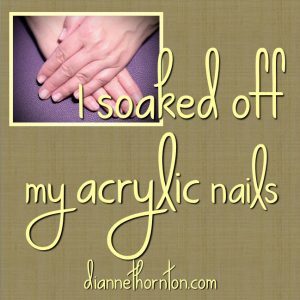 As a Type-A personality, I am an in-charge, make-things-happen (even a fixer) kind-of-gal. I like things finished and tied with a bow. When I can arrange my life like that, I feel settled and in control. But the reality is, life isn’t like that. Rarely are things finished anymore. And tied with a bow? In my dreams. As a result, I need encouragement (and lots of it) when things don’t go the way I’d like them to. Last year I had a challenging writing assignment and a limited amount of time to complete it. I prayed over it, making sure it was what God wanted me to do. But I felt like I didn’t have what it took to write this assignment well. 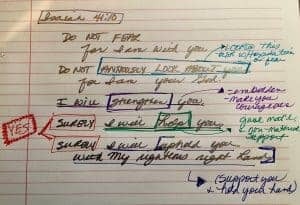 A friend encouraged me with Isaiah 41:10. So I decided to do a verse mapping exercise. I looked up the definitions of several words and phrases. And this is how the Lord encouraged me with His Word. YES, I will help you! Don’t look at this assignment with trepidation and fear. I will embolden you and make you courageous! I will give you material and non-material support. And I will hold your hand the whole time. I had a new perspective and the courage to move forward. This is an example of one way God’s Word encourages our hearts. Sometimes, in the regular course of our Bible reading, God provides the just right Scripture to strengthen our souls. Other times, we specifically go to our treasured verses for the encouragement we need. Hope is a beautiful word. It is pregnant with the expectation of good things to come! We need hope every day–not only when we are feeling hopeless. Hope is what keeps us moving forward. 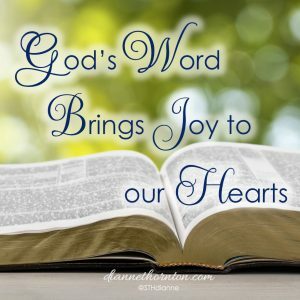 God’s Word encourages our hearts with hope. Hope in God’s Word is not a maybe hope. Like, I hope my package arrives before Wednesday. Our hope is secure and trustworthy because it is based on God’s character. Quality time with my grown daughters is hard to come by, especially with my senior. She is busy with advanced academics, extra-curricular activities, applying for scholarships, and time with her besties. So when an opportunity to visit with her presents itself, I drop everything so I can enjoy her–even if I am simply a distraction from her homework. Why? Because I want to enter her world. In so doing, I get to know her better. Of course I know her. I know her very well. But as she matures and seeks independence, parts of her life are a bit mysterious. She doesn’t share everything with me like she used to. The only way to mine the treasure of knowing her better is to spend time with her–listening. Time with this girl I love brings joy to my heart. I experience delight when I’m with her and I learn a new aspect to her personality or character. 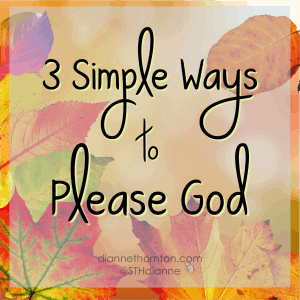 Like any other relationship, spending quality time with God is how we get to know Him. How we grow close to Him. Specifically, we get to know God by reading and studying our Bibles, because it is there that He reveals Himself. As we read, study, and pray, He speaks to our hearts. If you are new to reading the Bible, it may sound a bit mysterious. But God promises that when you seek Him out, you will find Him (Jeremiah 29:13-14a)! 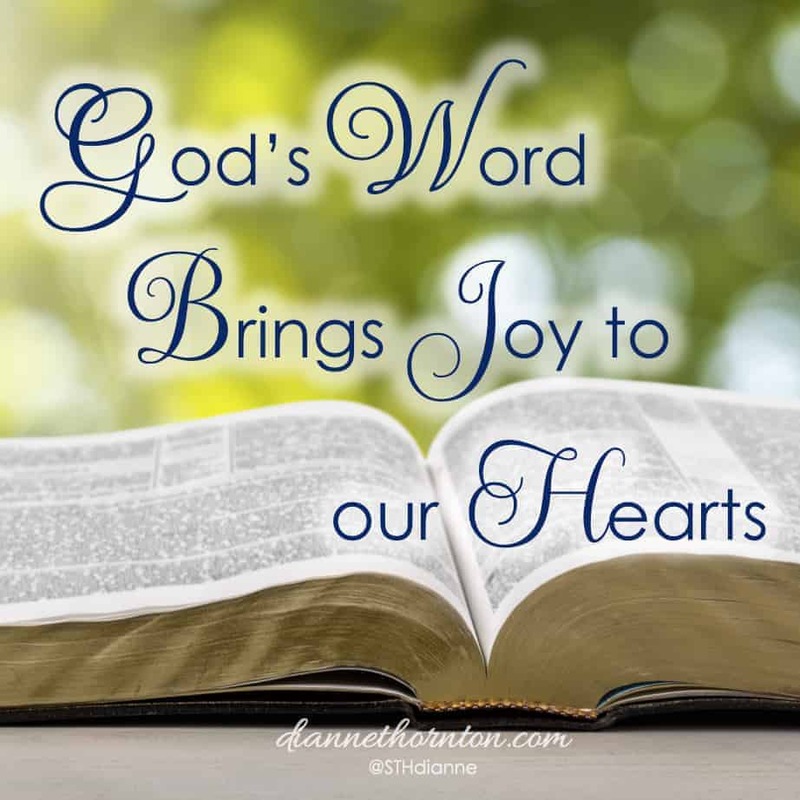 The more time you spend in the Bible, the deeper you’ll know the God who loves you (Jeremiah 31:3) and how God’s Word encourages our hearts with joy. My circumstances may not change, but God has a way of settling my heart the just-right Scripture. I keep coming back to the central truth that God’s Word is alive and powerful (Hebrews 4:12). Every time we open it, God has something specific to say to us. The first thing God wants us to know is that He loves us and wants a relationship with us. 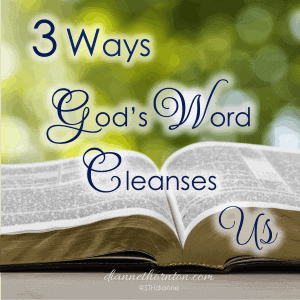 God’s Word also cleanses us, helps us to resist sin, and make wise decisions. 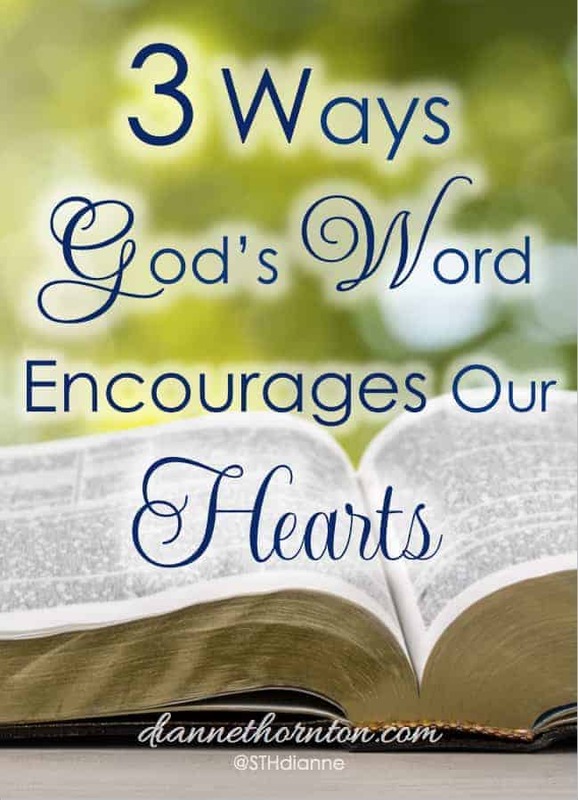 And beautifully, God’s Word encourages our hearts in varied ways. 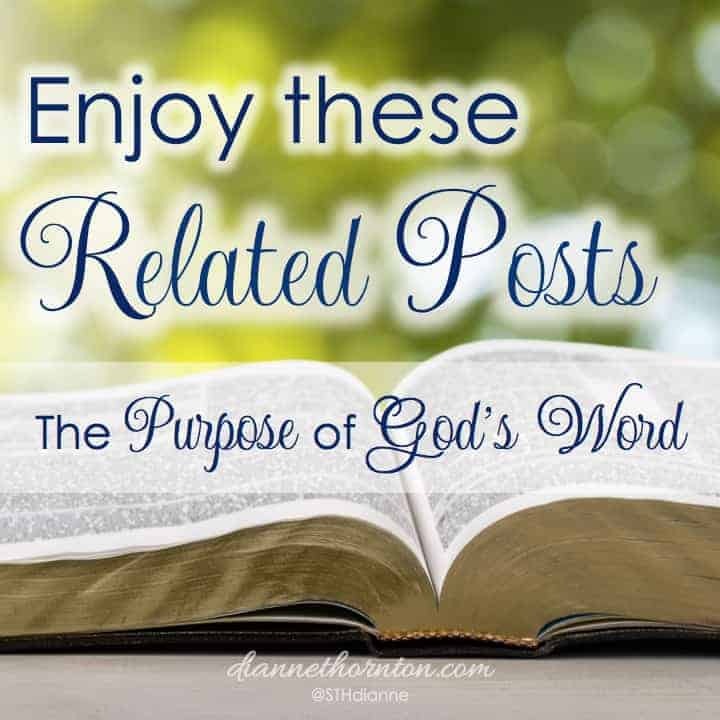 I hope these weeks have challenged you to go deeper with God in His Word. He is waiting for you there. 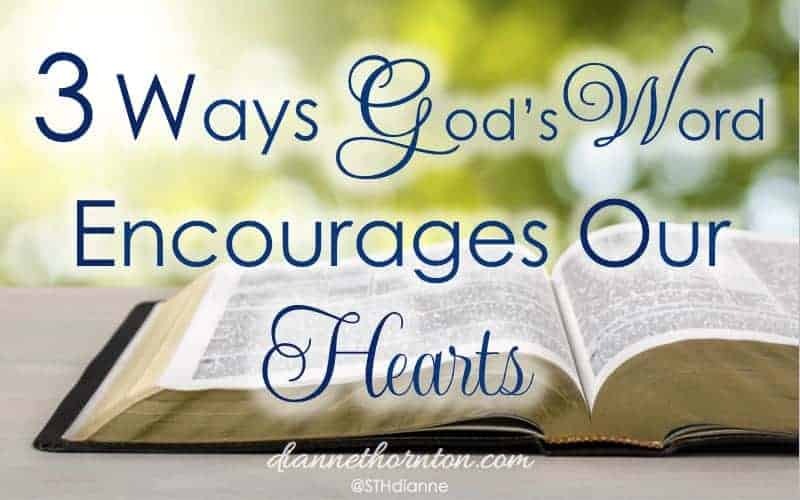 Diane, such encouragement to stay in God’s Word every day! He delivers just what I need each morning from the pages of His Word. 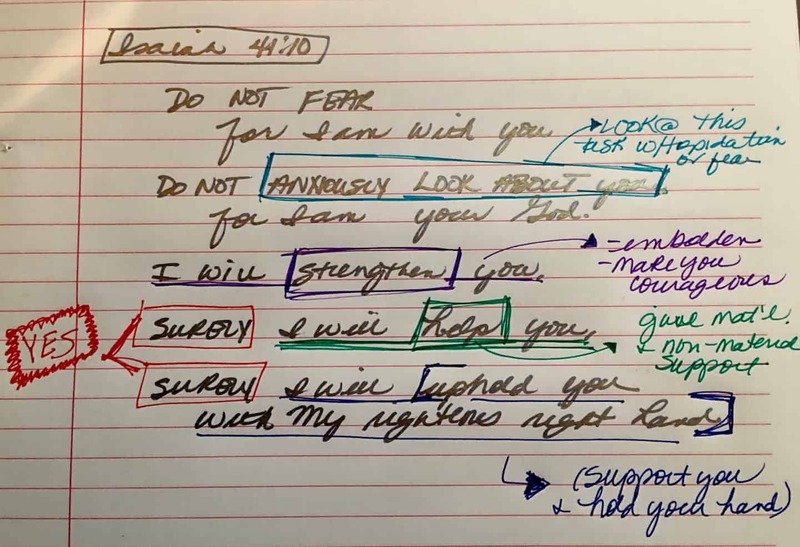 And I loved your photo of how you broke down the Scripture! Dianne, I so deeply appreciated this today. It’s been a tumultuous season in our parts, and the most healing balm to my soul has been time spent soaking in God’s Word. 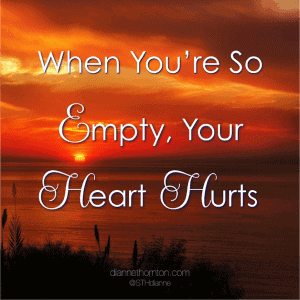 May we be women who turn first to the Word when we are empty and broken! it really is the deepest well from which a soul can drink! Thank you for these words today!